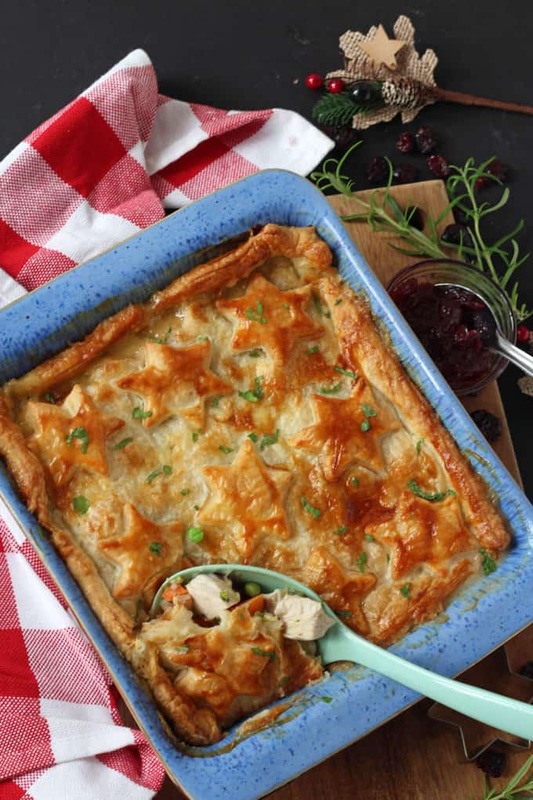 An easy recipe to use up your Christmas leftovers by turning them into a delicious Turkey, Cranberry & Brie Pie. 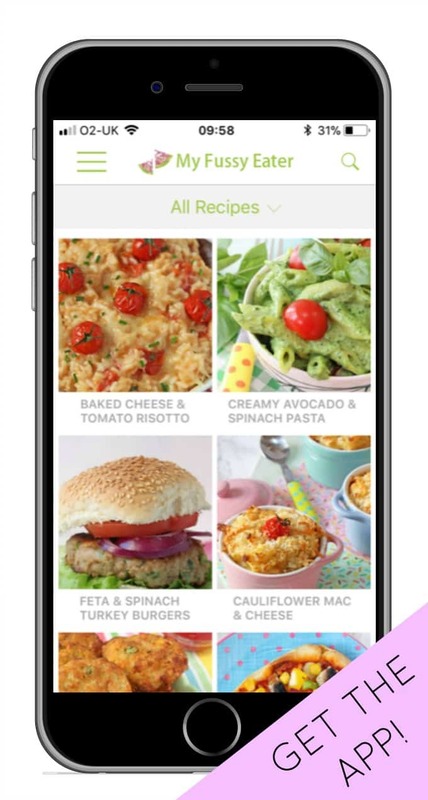 It even uses up leftover vegetables too! After slaving away cooking on Christmas Day you’ll be forgiven for not wanting to cook another meal for days after! But with so many leftovers it would be a shame not to put them to good use. 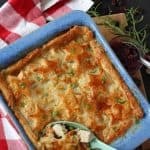 My easy Turkey Pie recipe uses up any turkey, vegetables, cheese and cranberry sauce that you might have leftover from Christmas Day to make a super simple but really delicious meal. I used turkey in my recipe but you could also use a mixture of turkey and ham and it will be just as good! To really make this recipe super easy I used a can on condensed chicken soup instead of making a sauce. 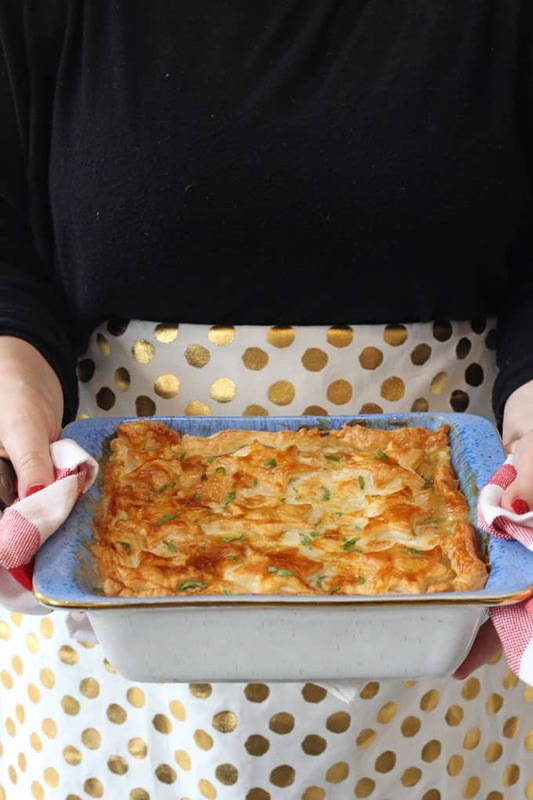 It means that all the ingredients can be assembled straight into the pie dish, no pre-cooking needed! Just be sure to use condensed soup and not normal canned soup or the sauce will become too thin. 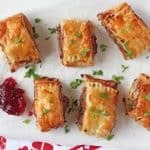 For the topping I used a sheet of ready-rolled puff pastry. 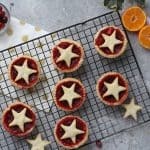 So many of my Christmas recipes seem to revolve around pastry so I always have a few sheets on hand in the fridge or freezer at this time of year! 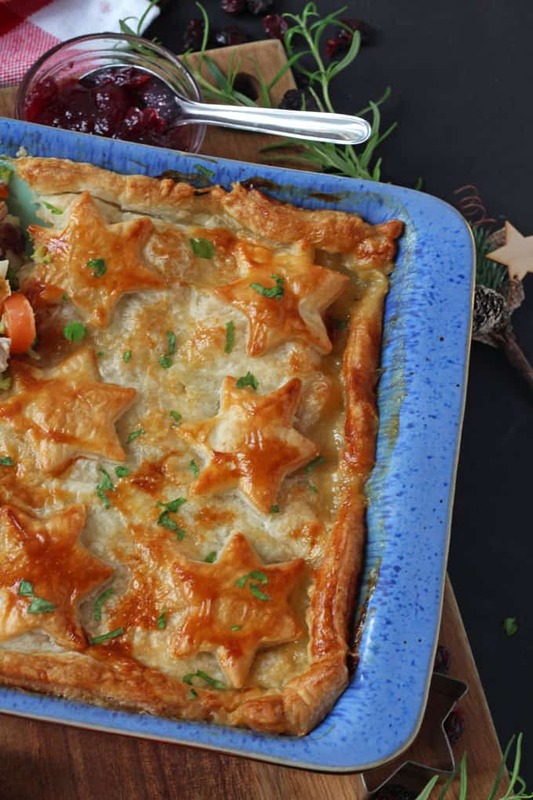 This recipe is ideal to whip up on Boxing Day or St Stephen’s Day when you really don’t want to be spending another day in the kitchen. It’s also great to make if you have unexpected guests pop in and want to feed them something delicious and comforting. Chop the turkey, vegetables and brie into bite sized pieces and add to a large bowl. Add in the cranberry sauce and soup and mix well. 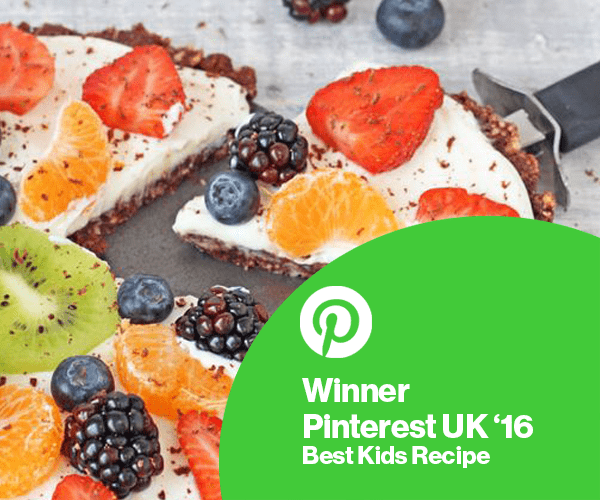 Transfer this mixture into a pie or baking dish. Unroll the pasty and cut out a piece big enough to fit over the top of your dish. Use a star cookie cutter to cut shapes from the remaining pastry and place them on top. 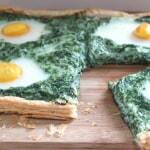 Brush the pastry with the beaten egg and use a sharp knife to insert 4 or 5 slits in the pastry. Allow to cool for 5 minutes before cutting and serving with a side of extra vegetables. This looks so tasty. 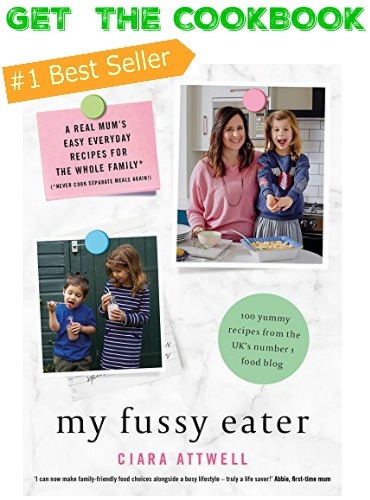 We eat turkey pretty much all year round instead of chicken so always have leftovers that I never really now what to do with so this is perfect for us.